Chaitanya Biologicals Pvt. Ltd. a Halal, GMP & ISO certified Company with state of Art international standard manufacturing facility & ultra-modern QC lab. The Company manufactures high quality Active Pharmaceutical Ingredients ( API ) including Ferrous and Calcium supplements and Dehydrated Media Ingredients using three different manufacturing lines and export of these products to more than 40 countries across the world. Our range of Ferrous Glycine Sulphate is widely appreciated for excellent properties. it is used as bioavailable form of Iron chelated with Amino Acid Glycine. 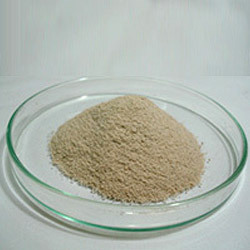 Ferrous Aminoate, It is amino acid ferrous complex with higher protein content in chelated form. Calcium Fumarate, it is a strongly fruit flavored calcium salt used in the treatment of osteoporosis, it is commonly used source of calcium in food, beverages & food supplements. Iron Hydroxide Polymaltose Complex & Iron Hydroxide Polysucrose Complex. Iron is an essential body mineral. It works by replacing iron in your body if your body does not produce enough on its own. Iron (III) Hydroxide Polymaltose Complex: We manufacture a pure range of Iron Hydroxide Polymaltose complex for oral preparation. 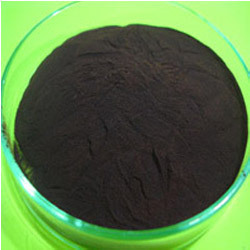 It is reddish brown colored amorphous powder with astringent taste. 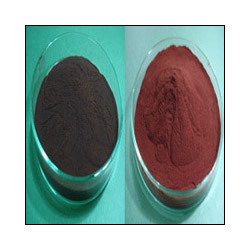 Complying with various quality standards, Iron (III) Hydroxide Polysucrose Complex: Iron is a mineral needed by your body to make new red blood cells. Iron also helps red blood cells function. Red blood cells carry oxygen to all of your body tissues. There are many different kinds of iron supplements. However, extra iron should only be taken under the advice of a health care professional. 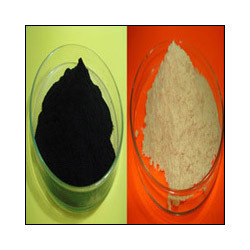 We manufacture oral grade product with 30% Fe. Iron Polysaccharide Complex is an essential body mineral. It works by replacing iron in your body if your body does not produce enough on its own. Adults or kids with anemia due to low iron levels or a low red blood cell count may be prescribed iron. Pregnant women in their last 3 to 6 months of pregnancy may need to take extra iron, but should only take iron if their doctor tells them to. Do not treat yourself with iron if you are feeling tired or fatigued. Most healthy people get adequate iron in their diets, particularly if they regularly eat fortified cereals, meat, poultry, and fish. 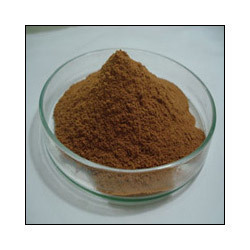 polysaccharide-iron complex is available. The product Methyl Sulfonyl Methane (MSM) is a sulfur-containing compound normally found in many of the foods. 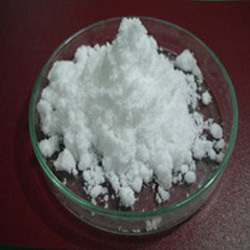 It is chemically related to DMSO (Dimethyl Sulfoxide), a popular treatment for arthritis. When DMSO is applied on the skin or taken orally, about 15% of it breaks down in the body to form MSM. It is used in pharmaceutical preparations for relief in osteoarthritis pain, stiffness & swelling, aging, back pain, carpal tunnel syndrome, muscle aches and pain, strains and sprains. It is a White, free flowing powder having Melting Point :108.00 TO 110.00°C. & Boiling Point 238.00 TO 239.00°C. Glucosamine plays a decisive role in the synthesis of connective tissue and is therefore important for the joints. Connective tissue (skin, bones, tendons, joints, hair, blood vessels and cell membranes) supports and connects the individual parts of the body. Glucosamine Hydrochloride & its salts is used in pharmaceutical preparations for relief in osteoarthritis pain, stiffness & swelling, back pain, carpal tunnel syndrome, muscle aches and pain, strains & sprains etc. Ferrous Ascorbate is a synthetic molecule of ascorbic acid and iron. Ascorbic acid enhances absorption of iron. Ascorbic acid reduces ferric iron to ferrous iron which remains soluble even at neutral pH. It is used in range of nutraceutical & health care preparations like liquid, capsule & tablet etc. it is fine, free flowing, slightly hygroscopic spray dried, soluble powder. Calcium Ascorbate is a reducing agent and prevents oxidation. Calcium in this form appears to be reasonably well absorbed. White to yellow colored powder It is stabilized form of ascorbic acid. It is used as calcium as well as ascorbic acid source. Zinc Ascorbate, it is a Vitamin c -, zinc complex used in range of nutraceutical & health care preparations like liquid, capsule & tablet & other oral preparations. It is water soluble, Fine; free flowing, slightly hygroscopic spray dried Light to dark tan colored powder. Sodium Ascorbate, it is used in wide range of nutraceutical & health care preparations like liquid, capsule & tablet etc. A fine, free flowing, slightly hygroscopic spray dried powder. White to yellowish coloured. Assay: 99.00 – 101.00 % W/W. 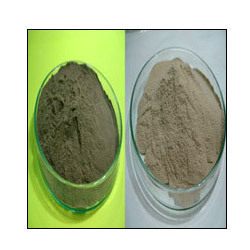 It is complex of Iron Protein Succinylate milk protein with ferric iron. It is act as source of Iron & protein in the tablet & liquid formulation. 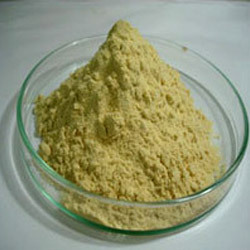 Iron protein succinylate (IPS) is an iron compound specially bonded to casein. Due to the succinylation process, the compound has a solubility profile strictly dependent on pH.It is insoluble in stomach pH & soluble in duodenum .It is easily absorbed. Looking for Active Pharmaceutical Ingredients ?